I have done a lot of “Swedish for the Family Historian” words. That it words that you will most likely run into when looking into Swedish genealogy. When I am doing genealogy on my maternal grandmothers side of the family who was born in Estonia I like to have a list of common words next to me. Just to be able to recognize some of them when going through records, like birth, marriage and death. Eventually I learn how to read them but not really how to say them. 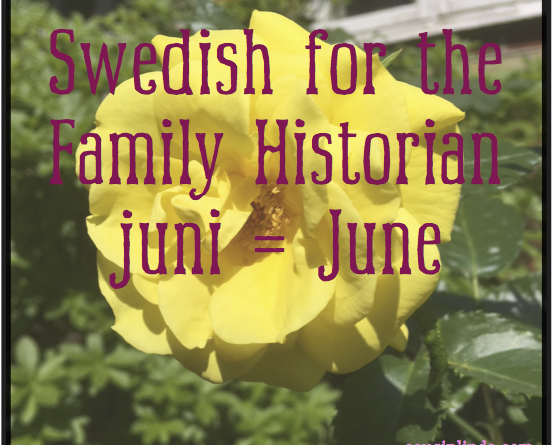 So, I am trying a new take on my “Swedish for the Family Historian. Small audioclips where you hear me say the word as well.